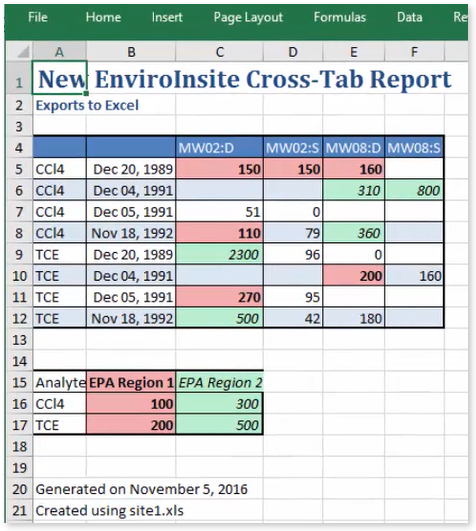 The crosstab report transfers observation records from EnviroInsite Excel or Access databases to a two-dimensional Microsoft Excel table. A legend associated with the query is provided in the Excel file. To create a crosstab report, select Reports> Cross-Tab from the main menu. The RadForm1 dialog box opens. 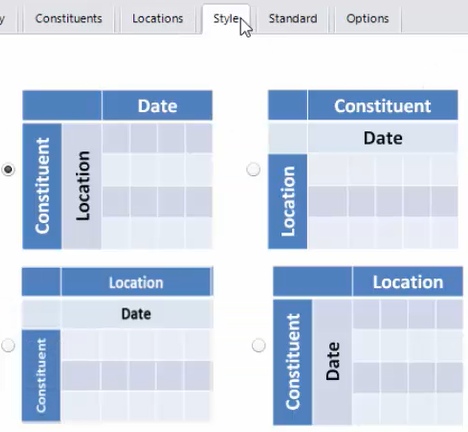 Modify the properties on the Query tab, Constituents tab, Locations tab, Style tab, Standard tab and Options tab as desired. Select the Generate Report button to create the crosstab report and open an Excel file. 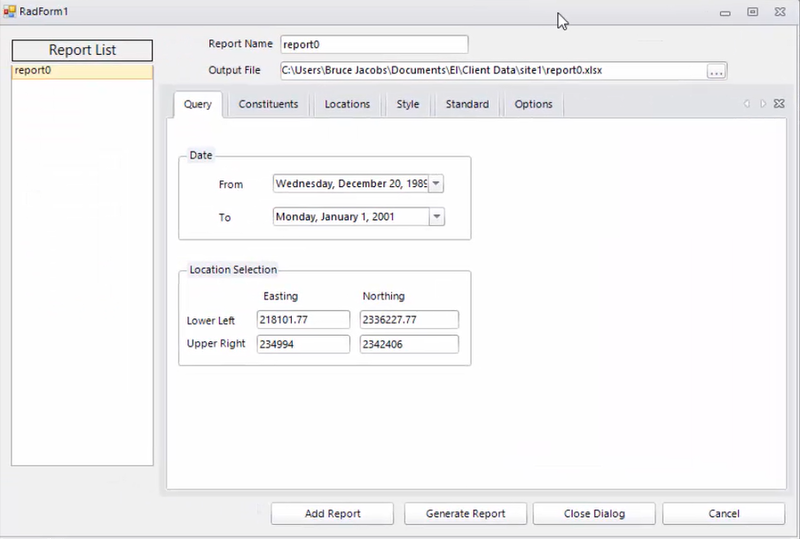 The dialog box stays open, which allows the query to be modified and the report re-run. View a training video on creating crosstab reports in EnviroInsite here. Select the desired constituents and click the >> button to move the constituents to the Selected pane. Select the desired individual locations and click the >> button to move the locations to the Selected pane or select the desired location group from the drop-down menu. Click the radio button to select from one of the four pre-defined crosstab report layouts. Select from regulatory standards and set cell styles to indicate exceedances. Full color palates are available by clicking on the button to open the Color dialog box. Enter the desired report titles and footer information. Select a date style format.